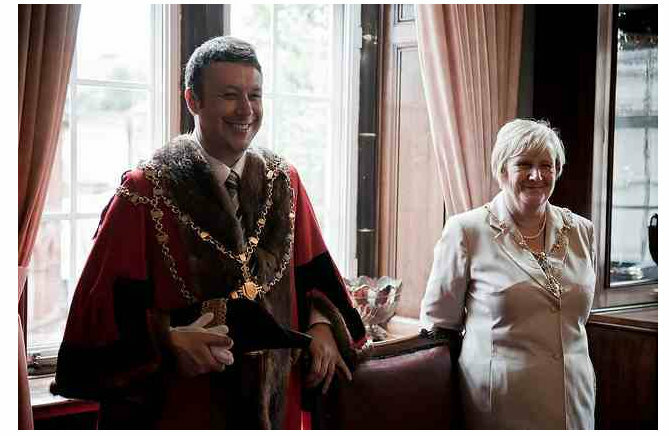 Mayors in Walsall go back to the 13th century. Yes, children it’s safe to say that even pre-dates Friends Reunited. What helped spread the word then was probably a Town Crier with the useful profile of having a loud voice in the marketplace where people gathered. Today, the landscape has changed. But a voice in the place where people gather is still important. 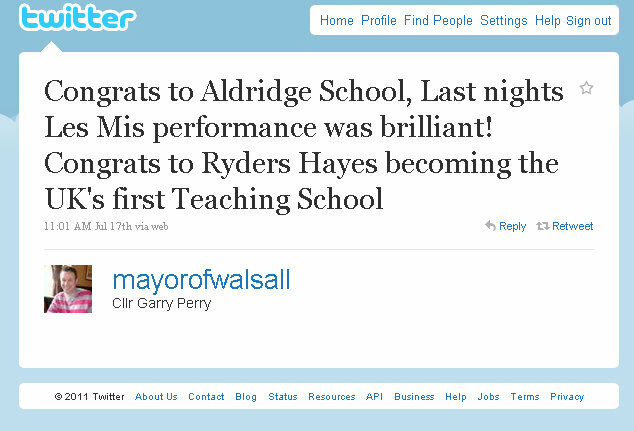 Since May when Cllr Garry Perry was appointed to the post he’s been successfully experimenting with digital channels. As a 33-year-old he’s the borough’s youngest ever appointment. As a Facebook native and as at home there as in the Council Chamber it made sense for him to experiment using the channel. He’s also used Twitter and connected with the Walsall Flickr group. 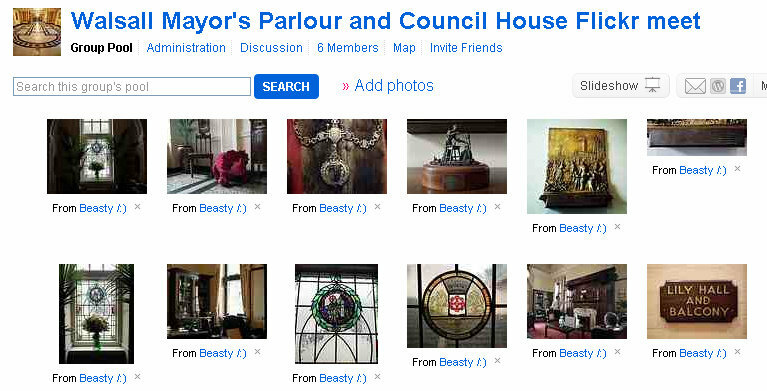 Jokingly, Cllr Perry has spoken about creating the Mayor’s Parlour as a location on Foursquare so he can become Mayor of that too. But is this just a gimmick? Or have lessons been learned? 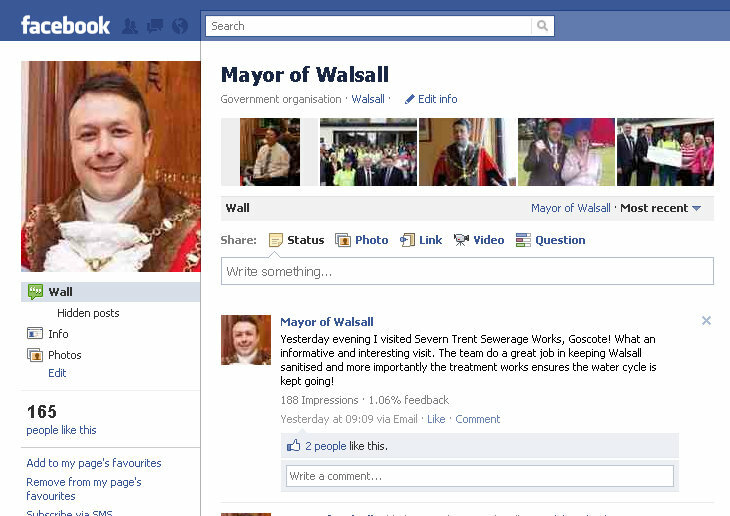 A Facebook page was created for the Mayor of Walsall. The idea was to allow the Mayor to post updates and pictures from his phone when out and about. The aim was conversational. It also helps give an idea of where the Mayor had been and the people he’d met. It’s not a dusty civic position. It’s carried out by a person. For an organisation for people. The stats speak for themselves. More than 160 people have signed up in about six weeks. 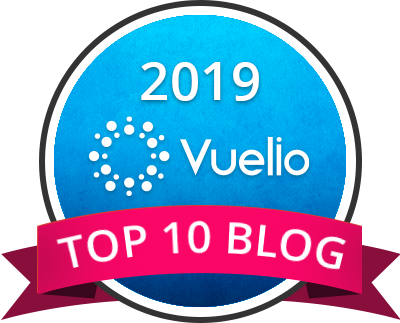 There has been more than 8,000 page views in a four week period and people have responded posting enthusiastic comments. It’s clear that successful events also draw-in enthusiasm from residents. The events functionality also allows a good way to flag up fundraisers. More than 180 people and organisations have signed-up with updates of visits and fundraising. Cllr Perry’s sporadic previous account was re-named @mayorofwalsall. A Flickr meet was staged where members of the excellent Walsall Flickr group came along to the Mayor’s Parlour and Council House one Saturday morning. More than 200 shots were posted by six photographers to a specially created group to capture shots for the day. It was a chance for Walsall people to visit the 1905 building and meet the Mayor. As a visit it was a success. Those who came took some excellent pictures and Cllr Perry’s – and the Mayoress’ – easy going and informal approach saw the council giving a good account of itself. Staging a Flickr meet at a council venue is something I’ve blogged about before. As a spin-off, and by no means the purpose of the event, the photographers were happy for the authority to re-use the posted pics for the website or for other marketing. That’s a good thing whichever way you look at it. You can see the pictures here. Yes, we’ll do the traditional things too for old media too. That’s part of the repertoire. 1. It can put a human face on an organisation. As Pc Rich Stanley does for West Midlands Police in Walsall so Cllr Perry does for Walsall Council. They use social media to put a human face on the organisation that can sometimes be seen as remote. 2. It depends on the individual. A social mayor who is at home with the channels or willing to learn will prosper. A remote character with few social graces and mistrust of technology won’t. 3. Little and often works. Updates on the routine day-to-day tasks work really well. Don’t think you need to crack the front page of the local paper with every update. 4. It works best if the Mayor writes it. A voice can be unique and despite being a fairly politically neutral post it’s not for council officers to update on people’s behalf. 5. Be prepared to JFDI. Not everything with social media has a 100-year-old record to it. That’s a given. So just try things out. Good pictures leap from a page to celebrate, amaze and tantilise. Poor pictures shout loudly. But not in a way you’d like. One source of good pictures is the website Flickr which has more than four billion images. It’s something I’ve blogged about before. What’s on there? Think about any subject and there will be pictures. A whole heap of them. And Flickr groups too. It’s the civilised corner of the web where people are constructive and are happy to licence their images through a Creative Commons licence. Residents have self-organised and are daily taking an avalanche of brilliant pictures. It can be a community around a love of countryside. Or of cats. Or a geographical community brought together by an area. In Walsall, a borough of 250,000 near Birmingham in the UK that’s expecially the case. There are more than 100 members, 5,000 images and a vibrant Flickr group. People like Steph Jennings, Lee Jordan, Stuart Williams, Beasty, Tony M, Nathan Johnstone and others do brilliant things. At Walsall Council, we looked at their shots we wondered aloud how good it would be to showcase their shots on the council website. After all, people taking pictures of the place they live and seeing them showcased on their council’s website HAS to be a good idea. Our head of communications Darren Caveney and web manager Kevin Dwyer picked the ball up and ran with it. As part of a web refresh, Kev designed a Flickr friendly header that woud apply across all pages. Next the pictures. A comment was posted on the Walsall Flickr pages to flag up what we were looking to do. We asked people to add the tag ‘walsallweb’ to each individual picture if they wanted the shot to be considered. We were staggered to get more than 400 shots tagged for consideration in three days. An amazing response that showed the community support. The postbox shape of the header ruled out scores of images. We also steered clear of people shots because of any problems with permissions. The first shot was a canalside image. By linking back from the council site to the original Flickr image we embraced the web 2.0 approach of sharing. The image got more than 150 hits in just over two weeks. This is the revamped Walsall Council website that celebrates our residents’ work. 1. Ask permission. Photographic copyright by default lies with the photographer. Even if there is a creative commons licence available I’d still ask. Just to be on the safeside. 2. Ask permission to name and link back to the original picture too. For some people photography is a hobby they don’t want publicity for. 3. Rotate images. Try and use pictures from around the borough. Not just the photogenic park. 4. Rotate photographers. Share the love around. 5. Use freelance pictures too. But ask permission. The licence you may have originally negotiated may only be for print use, for example. 6. Be seasonal. A cornfield in summer sun looks great in August. It may not be so at Christmas. 7. Change the shot regularly. Two or three weeks is enough to freshen up the site. 8. Stage a competition to encourage participation. Post a topic. 9. Use Flickr images across the site. A cracking shot of a park would work well on the park pages, for example. 10. Be aware of your policies towards people. Do you need to get permission forms signed in order to use the image for publicity. 11. Join Flickr. Contributing to the Flickr community is a good way to build bridges and understand how it works. 12. Acknowledge using a shot via a comment under the picture from the council Flickr account. Comments are a social part of Flickr and a way to give praise. 13. Create a gallery. A page on the council website to gather the header screenshots. 14. Stage a Flickr meet. Generate content and allow residents to take shots of their landmarks and building. 15. Showcase your area. It’s a chance to really show off. 16. Skill up. Make sure there is the skills base for several team members to add content. bccdiy.com – A website for Birmingham put together by bloggers that uses Flickr images brilliantly. Lichfield District Council – Some lovely shots of the Staffordshire city of Lichfield using Flickr. San Fransisco’s District Attorney’s Office – Great blog on how a US office is now using photo sharing. 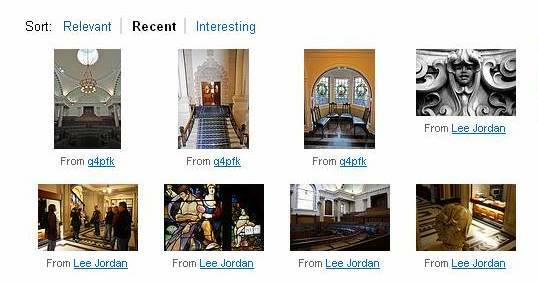 LGEO Research – Good blog by Liz Azyan on how Lichfield used user generated content. Coventry – How Coventry City Council use Facebook to showcase official images. There’s four billion reasons why Flickr is brilliant. Four billion? That’s the number of images uploaded to it over the past five years. Best bit? You don’t have to be David Bailey to get something out of it. You could be Bill Bailey. 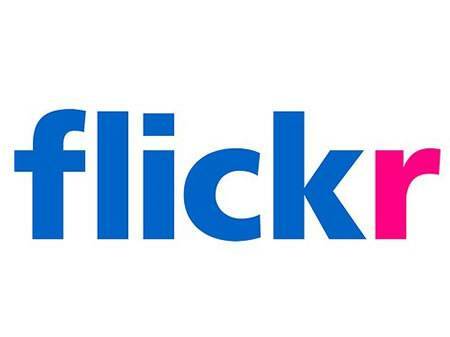 What is Flickr? It’s a photo sharing website. You join as an individual. You upload pictures. You can add them to groups. You can comment on pictures too. There are tens of thousands of groups on a bewildering range of subjects. Football? Check. Walking? Buses? Cricket scoreboards? Clouds? They all have dedicated groups. There’s even one for Gregg’s shop fronts, believe it or not. There are also geographical Flickr groups based on areas like the Black Country, Walsall or London. Why bother with Flickr? Because a picture says 1,000 words. Besides, it’s a brilliant way to capture, celebrate and collaborate. It’s a cinderella social media platform without a Stephen Fry to champion it. But there is a growing and exciting number of uses for it. So what are the barriers for people to use it? Like any platform, there are obstacles. None are insummountable. There’s the usual cultural issues for an organisation using web 2.0. People can talk to you. You can talk back. You may have blocking issues too. There may also be concern over images. Surely there’s room for dodgy pictures? Actually, not really. The Flickr community is a hugely civilised place. Your first uploads get checked over before they are seen. People comment constructively. Isn’t it just for good photographers? No. Amateurs thrive here. Snap away. How about copyright? Copyright is with the photographer. Even if you’ve commissioned it. Don’t upload someone else’s shots without their permission. 1. Be a dissemenator – Stock photography – Newcastle use it as a way of allowing stock photography to be disseminated. With photographers’ permission. Like Calderdale Council’s countryside team. 2. Be a campaigner – Create a Flickr group for a campaign – Willenhall, Aldridge and Darlaston in Bloom, for example. 3. Be a way to open-up museums – Create a Flickr group for a museum exhibition. Look at Walsall Museums. 4. Be an enabler – Set-up a Flickr meet. It’s a brilliant way to connect and collaborate. Here’s my blog on this event from a council perspective and from a Flickr photographer’s perspective from the excellent Steph Jennings and also Lee Jordan. Here’s some shots from the Walsall Council House Flickr meet (see left) which saw the Flickr group invited into the Council House. 5. Be a Flickr Twitterer – Link to pictures via Twitter. Pictures are always more popular than straight forward links. They brighten up your stream. 6. Be a marketeer – Use Flickr pics for marketing. Leaflets can be brightened up with Flickr shots – with permission. 7. Be a Flickr webbie – Use Flickr on the council website. Like BCCDIY or Lichfield District Council, Brighton & Hove Council or the Walsall Council header. 8. 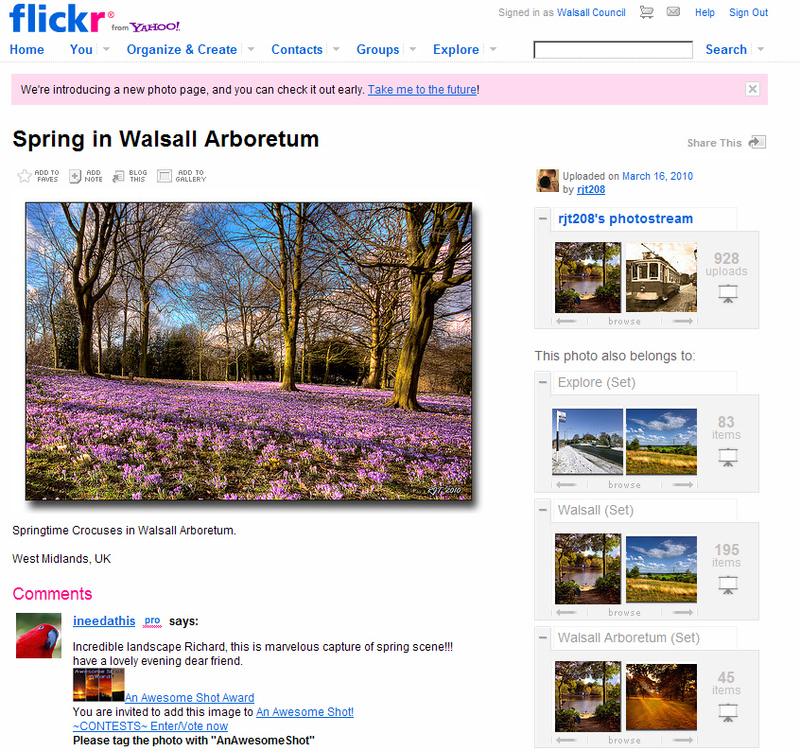 Be a civic pride builder – Create a Flickr group for an area, like Sandwell Council did. 9. Be a picture tart – Post council Flickr pictures to different groups. Shot of the town hall? Put it in the Town Hall Flickr group. 10. Be a stock photography user – the Creative Commons is a licence that allows the use of shots with certain conditions. There is a category that allows for not for profit use, for example. 11. Be a digital divide bridger – favourite walks or a way to celebrate heritage is an excellent way to encourage people to log on. Steph Jennings from the Walsall Flickr group and the Lighthouse Media Centre in Wolverhampton made some excellent points at Hyperlocal Govcamp West Midlands on how Walsall Council used images on their website. This blog is based on a session at localgovcamp Yorkshire and Humberside in York (#lgcyh) which also had input from @janetedavis, @allyhook and @barnsley55. 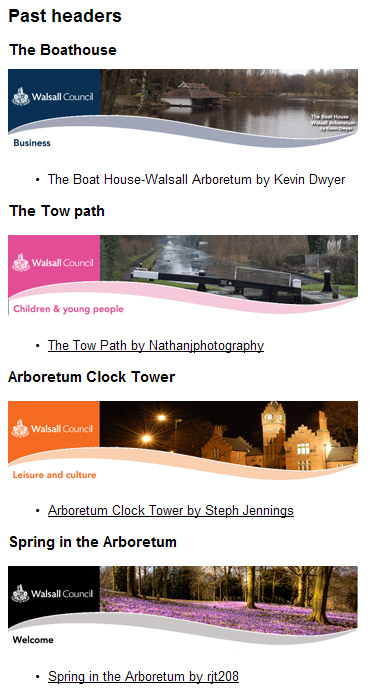 Much kudos to the Walsall Flickr group and to the inspirational @essitam and @reelgonekid. 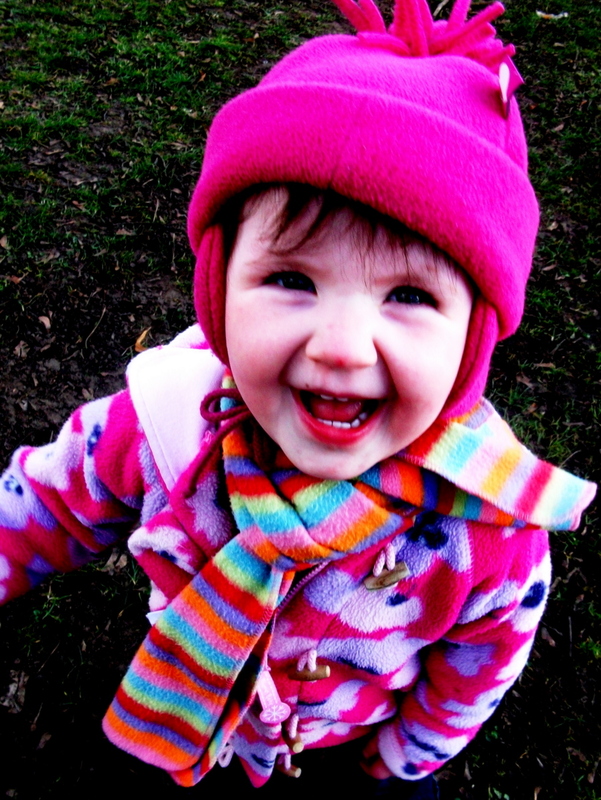 Creative commons: Smiling blonde girl Pink Sherbert Photography. Flickr screenshot from the Walsall Flickr group pool. Other pics by Dan Slee. In Ben Stiller’s blockbuster ‘Night at the Musem’ exhibits burst to life when the public aren’t around. Cowboys and Indians come alive and a giant dinosaur plays fetch with a bone. Walsall museum stores aren’t quite on a par with Washington DC’s Smithsonian but one thing is the same: You’d be amazed what you can find. 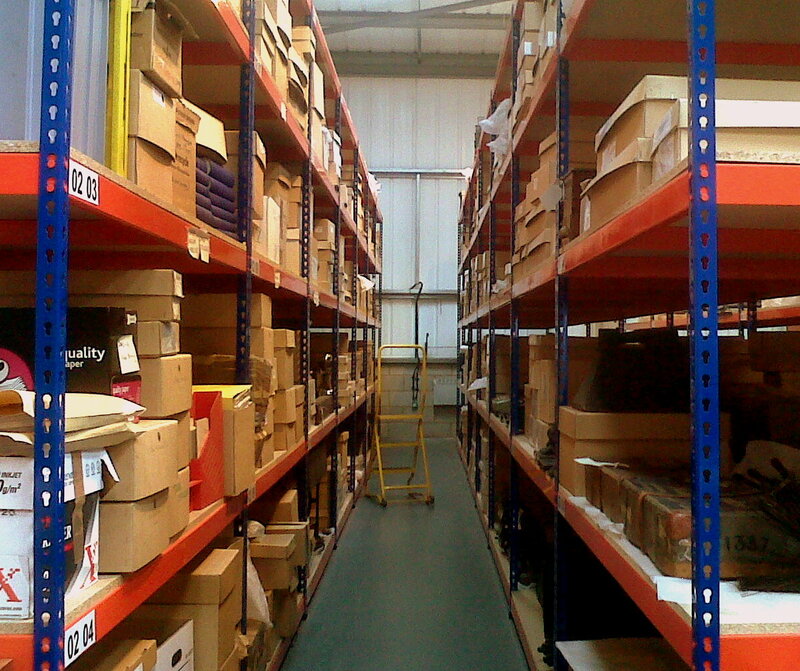 Thousands of items are stored as only a fraction can be put on public display at one time. So how would social media connect a museum stores with residents? Here’s how. In a way that is way cooler than Ben Stiller. 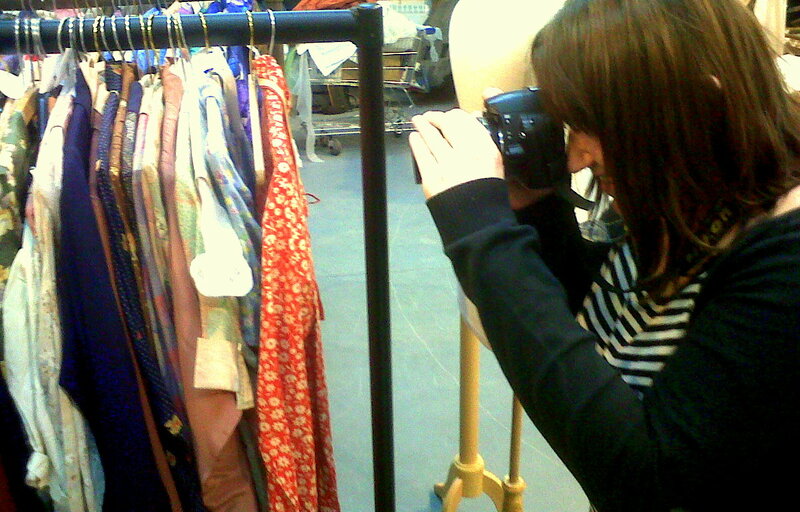 One Spring Saturday, photographers of the Walsall Flickr group were given special access all areas to take pictures at Walsall Council’s museum stores. Street signs, an ARP helmet, and typewriters were just some of the treasure trove. So were items of the nationally important Hodson Shop collection, a huge collection of working class clothes from the 1920s to the 1950s. Eight photographers spent more than two hours poring over hundreds of artefacts. What resulted in an amazing explosion of pictures of often rarely seen treasures. Take a look at some of the shots here. More than 150 images were posted on Flickr in the days after and more than a dozen positive comments were posted on the group’s discussion board. Why bother? Why arrange this? 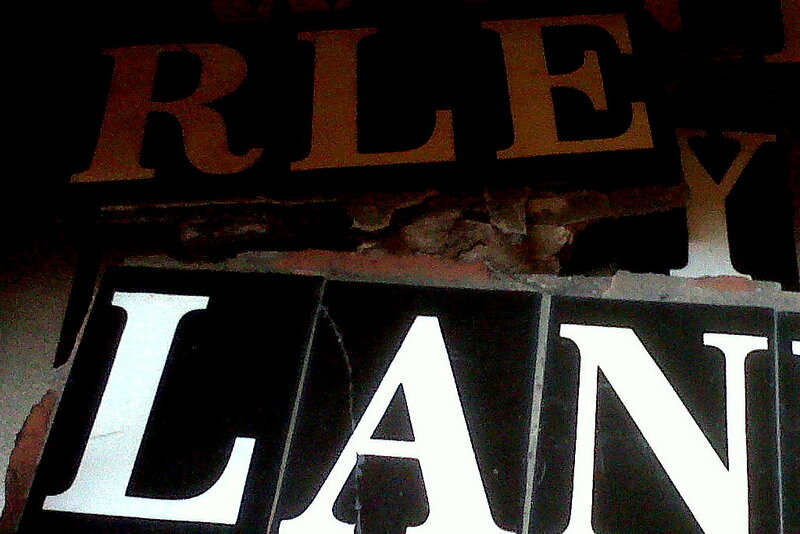 It’s as simple as this: what’s not to like about pictures of Walsall artefacts taken by Walsall people? Simple as the idea was, three months of planning led to the event itself. Much praise needs to be given to talented photographer Steph Jennings (@essitam on Twitter) and the forward-thinking Walsall museum curator Jennifer Thomson supported by collections officer Catherine Clarke. Why praise? Because both parties started from different positions and arrived at not just a workable compromise but a groundbreaking piece of work that sets new standards. At the heart of everything was copyright. Museums traditionally are very careful to guard copyright of their artefacts. On the flip side, photographers are very careful to guard their copyright too. In the past, museums have allowed photographers to take shots only in highly controlled circumstances with copyright signed away. The Walsall approach was different. The compromise that was brokered was this: photographers retain copyright so long as they accepted that they wouldn’t be able to bring tripods to take saleable pro shots. That was fine as the Walsall Flickr members didn’t want to sell images. The group also agreed to limit the size of the shots they uploaded to 1MB and agreed to ask permission before they used the images. Crucially, what made this process work was the genuine commitment to make the event work by both Steph and the museum team. The compromise permission form can be found here. When social media works well it sees a two way discussion. Brilliant things can happen. An unexpectedly marvellous spin off led to the setting-up of a museum Flickr group to encourage people to submit images. This isn’t just shots of the museum but a place where, as Steph suggested, pics can now be submitted for ‘shadow’ exhibitions. 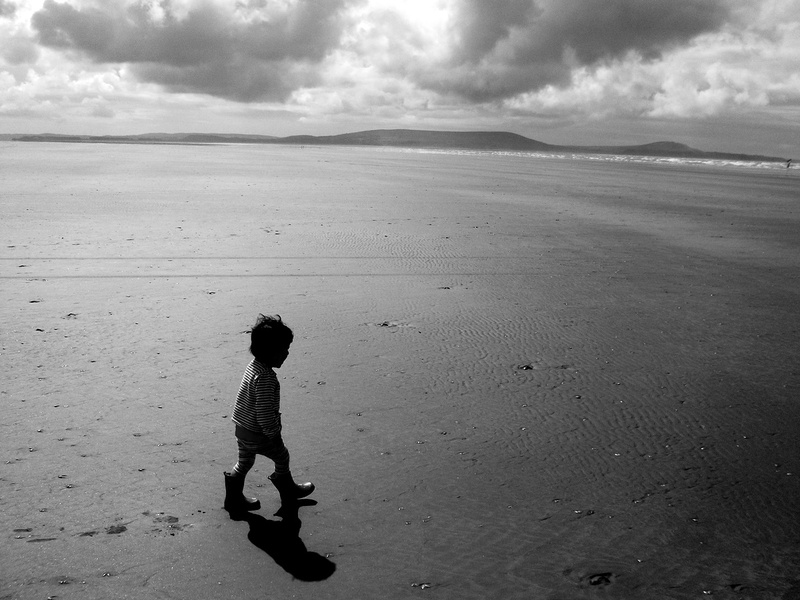 Planning an exhibition on seaside holidays? That shot of Great Aunt Maude paddling at Weston-super-Mare can be submitted and used as part of a revolving powerpoint of similar images. That’s something the whole family can go and see. Excellent. This isn’t a Walsall Council success story, for my money. This is a Walsall success story. It was the coming together of museum staff, the communications unit and most of all the enthusiasm of the borough’s thriving and talented Flickr group that made this work. What we found can work here can easily work anywhere. Hosting a Flickr meet: Five benefits to the museum. 1. Connecting with non-traditional audience. 2. Showcasing exhibits and helping to find an online audience for heritage. 3. Art. Great pictures are just that. Art. What better way to showcase your artefacts? 4. A set of marketing pictures. At Flickr members’ suggestion the group were happy for their images to be used by the musem. Many amateurs are keen to get an audience for their work in return for a link to their Flickr page and a pic credit. 5. Pictures to link to via a Twitter stream. Attending the Flickr meet: Four benefits to the photographer. 2. Being able to retain copyright of images. 3. A unique photographic challenge. 4. A chance – if you are happy to – to showcase your work through council marketing. Thanks to: Jennifer Thomson and Catherine Clarke from Walsall museum. Steph Jennings and the members of the Walsall Flickr group who attended the session.